The Legal Genealogist truly isn’t sure what has folks so riled up about this. Frankly, I’m about three-quarters convinced that if Ancestry were suddenly to turn non-profit and make every last one of its records available absolutely free, somebody out there would still find something to complain about — just because it’s Ancestry. Case in point: a reader question that arrived in my mailbox yesterday. • We were perfectly happy to give Find A Grave the right to use — display, share, make available to others — what we contributed, but Find A Grave wouldn’t claim any ownership of our contributions. • Access to the site would remain free. No other promises were ever made to us as Find A Grave contributors. Nobody ever said, for example, that you’d never be able to find a link to a Find A Grave entry by doing a Google search. Nobody ever promised us that users of the FamilySearch website wouldn’t see a link to that same entry in doing a name search there. And nobody ever promised us that an Ancestry subscriber wouldn’t get the same opportunity to click through from Ancestry to a Find A Grave entry. And for the life of me I can’t figure out what could possibly be wrong with allowing every other genealogy site in the world to link to Find A Grave entries. Doing so makes the information findable by more people. Which, it seems to me, is the reason why Find A Grave was created in the first place. So… to the reader’s question — and, more importantly, the reader’s premises. Is Ancestry taking stuff from us without paying? No. We gave Find A Grave the right to display our contributions; Find A Grave is now owned by Ancestry. Terms of the sale were not disclosed, but for us, the users, the terms that matter are that Ancestry will continue to keep the site up and running. And it’s going to put financial resources into improving it, including development of a mobile app. Is there a lawsuit in Ancestry’s future? For what? For keeping Find A Grave alive? For putting resources into future development? For keeping access to the site free and all of its existing policies and operations in place? During the years I was in active practice as a lawyer I wrote a lot of complaints. But I’d be hard pressed to figure out what exactly to sue for here. I’d be laughed out of court if I filed a complaint asking a court to find that Ancestry shouldn’t be allowed to let its subscribers use Find A Grave even though it’s letting everyone else in the world access it for free. If, down the road, Ancestry goes back on its word and closes the site to everyone except its subscribers, and doesn’t let contributors remove their materials then, then we can talk about lawsuits. In the meantime… seriously … being the 600-pound gorilla of the genealogy subscription sites isn’t illegal. Let’s all chill out for now, okay? Thank you for this excellent rebuttal of foolish fears perpetuated by the Internet. Thanks for the kind words, Bunnie. I think people see Ancestry and are on the defensive and believe the worst without doing a little research. It is very nice to know that Find A Grave will be available for whoever wants to use it. That’s not bad at all. I can’t see it as a problem either, Ann! I’m fairly new to the genealogy world and in no way, shape or form would ever begin to consider myself anything close to a professional. So maybe my view isn’t the same as others but my two favorite sites are ancestry and findagrave, so this is a match made in heaven for me. And I’ve been getting the shaking leaves for findagrave memorials for months. So what’s all the hullabaloo? I wish I knew, Debi. I really think people just see Ancestry — and see red. Nice post. I actually commented on the thread you’re talking about and said pretty much this same thing “We gave Find A Grave the right to display our contributions” in my response . . . as well as a few other things. The other part of my comment was something to the effect “if you don’t want others to see your photos, you shouldn’t put them out there”. As for me, I share my photos freely. Why would we be taking these tombstone photos if not to share them? I don’t get it. There are some folks who just need to complain, Joan. I am SO glad you addressed this! I’ve seen this pop up recently and wondered where in the world people were getting that idea! Now I’ll have your answer to link back when I see it again (and you know I will….these things get perpetuated because people don’t check to see if something is legit or not. HUGE pet peeve of mine!). Glad to help provide a reference, Suzie! Well said, Judy! As a frequent contributor to Find A Grave, my reasons for creating the memorials are twofold: first, to honor & remember those who have gone before me and second, to help others find their kinfolk. Having Ancestry point to these memorials supports both my goals. I will continue to support Find A Grave. I’m a contributor as well, Skip — and my stuff is staying there. Thanks, Judy, for the “voice of reason”. I suspect there are a lot more folks out there who see this the same way… but don’t say so. That old “Silent Majority” again. My two cents – Ancestry has many collections that are free (those indexed by the public or world archives, etc.) and since Find A Grave is also based on public contributions it makes total sense that it would always be free as well. I agree with you, Brandon. It’s worth more to them to reach people and maybe hook them into Ancestry than it would be to close it off! I’ve been involved in web development since ~1995. What makes the web unique is it’s ability to hyper-link. Instead of re-inventing the wheel we can just link to it. No more rewriting or stealing content for a new book, etc. I know many TNG users who link to FAG: no different than Ancestry has. This is the internet evolving; nothing more. You got it — and why folks are having trouble with that is beyond me. Thanks for joining in the discussion, Kelly! Amen! Just my 2 cents, but the folks who get terribly proprietary, & downright “sky-is-falling” hysterical about these things, tend to strike me as people always itching to create a fight, where one doesn’t exist. They are called “contraries”, & can be depended on to gripe any time the changes in the world around them don’t suit their personal agenda or worldview. This week, it’s Find A Grave being “in bed” w/ Ancestry, but never fear—they’ll find something new to be incensed about next.I don’t look at the data & records I locate, as min, alone, just b/c I buy gas to do the legwork, & the like. I have cousins I’ll likely never meet, & it’s their history, too. I don’t subscribe to the idea that b/c I track down records, on an out-of-state or out-of-county junket, that I’m more entitled to utilize it (As opposed to the bedfast relative in her 90’s, or the young mom of triplets, who lacks the time/energy/cash to track info on relatives she named her kids after, for example). When did people become so territorial? They’re all our kin, dead & alive. Why can’t we share, as we are able? I’m with you, Cathy. I absolutely DO understand wanting credit for doing the work — that’s just plain good manners, to credit those who’ve found that record or taken that photo — but I don’t understand not wanting to share. Great Article. I saw those comments and many others like that. And also the comments about “I cancelled my subscription, so I’ll loose my online tree”. They don’t even know, when asked what an Ancestry Member Tree is. What people don’t realize, like Brandon said, Ancestry has many FREE Records and services. Just look at their Wiki page. I have a couple of books in my library that are FREE on that Wiki page. I have to say that I have found it difficult to get any information from Ancestry for free. WHen I get a “hint” on Ancestry, the next thing that happens is they want money. IT is not an unnatural reaction when you get a hint about FAG info, that you think the next thing that happens is they ask for money. 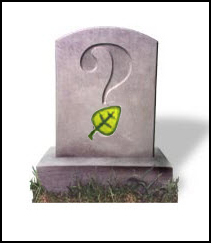 I think there are some fears (not completely unfounded) that eventually Ancestry will not live up to their promise about Find a Grave. As long as they honor that promise, I see no problem, but I am not as confident as you that they will. If the day comes that you turn out to be right, you can count on me to be leading the criticism. After Ancestry took over rootsweb, they removed the Social Security Death Index, citing privacy concerns. They then added the index to Ancestry, where you have to pay for it. What about “privacy concerns”? I don’t trust them. I don’t think you understand the issue on the SSDI. Members of Congress were demanding that the SSDI be removed from public view. It was the fact that it was NOT on a subscription site that was the problem in the minds of the Congress members. The thinking of those politicians was that identity thieves wouldn’t buy a subscription to access the record (plus the very most recent records don’t include all available information, also offered as a compromise to avoid losing access to the SSDI completely). I LOVED your comments,and sorry to hear about the usual complainers. Also, I read the FAG blog and just shake my head over these possessive, stingy, selfish and inconsiderate people. Some people think no one should not use or “steal” the information or a copy the pictures posted there. And for sure they should be given credit!! My comment is if a person wants “credit.” then they should quit posting info and pics. Put it in your safe and keep it there, so no one will know you have it! I have over 400 portraits and tombstone pics on FAG and always appreciate a thank you, but the reason I am doing it is because. I think the memorials with every person having a personal page is so respectful to the fact that they did live and take up space on this vast earth. I have so much info. that no one else has–I want to share, and I sure don’t want to go to my grave with all of it, and I truly believe that most of it would end up in the trash if I hadn’t POSTED IT on the FREE site. Many relativesand friends are not interested and simply don’t care about any of this. I do hope some of the people posting get over some of their possessiveness and don’t want to lose one addition and won’t transfer any memorials. I have a dozens of fabulous pictures, stories, genealogies, etc. that I have received from FAG people like me. I am so thankful for this site!! I don’t think it’s too much to ask for — or to expect — to be given credit for your work. If I used one of your Find A Grave photos, I would give you credit. That’s only fair. As for the rest of it, well, … the purpose is to share, isn’t it? Ancestry.com is expensive but all those thousands of records did not get collected, transcribed, and uploaded for free nor is hosting a website free. The links from Ancestry to Find-A-Grave are convenient. Find-A-Grave, itself, hasn’t changed. What grounds would someone use as a basis for a lawsuit, that they voluntarily contributed information and now want a share in the profits? It didn’t work out well when contributing bloggers sued the Huffington Post but at least with the HP suit, they sued the party that made the money, not the party that paid the money. I can’t figure out what the suit would complain about, either. The one thing I have noticed since Find A Grave was acquired by Ancestry is the the map and GPS data that used to be displayed is gone. That was really useful to me. Otherwise no complaints. Find A Grave is still available outside of Ancestry. I hadn’t noticed that feature, Ed. Actually, the map and GPS info are still there, they are now on a separate tab (like the Edit tab). This was done before the announcement (if I remember correctly). They have been having some problems with the maps showing up, though, since before the announcement, so that may be why you haven’t seen them. Thanks for jumping in to help, Franz! Just to play devil’s advocate… It’s like a little local coffee shop is cozy and sweet and they let us put our kids’ drawings on the bulletin board and when the owner was sick we pitched in and helped wash dishes. Now Starbucks buys them and promises nothing will change. The same owners will still run the place. Yes, we love Starbucks for being Starbucks in their stores and we still like our little coffee shop, but somehow it is just different. The owner doesn’t NEED us anymore. We still get good coffee, but we’re getting it from a corporation. No “good” reason to not like it and no other coffee shop in town. I do understand, Janice. But let’s change the scenario a little. The owner of that old coffee shop is getting older. He can’t afford the new machines he needs. He’s concerned that if something happens to him the coffee shop will close — and all those drawings will be lost. So he enters into an agreement with Starbucks. He gets to keep running the show, with all the same rules, Starbucks pays the rent… and puts money into new machines. I agree with the issue of sharing the Find a Grave info… perhaps not the most appropriate place to place this comment, but was reading this blog and wanted to comment on the Ancestry service. I am a Canadian paying good money for my subscription, however, many of the information that is pertinent for my research is within the francophone material (Quebec and French Ontario). What I found is that most of the material from these collections are, in large part, inelligible (much too light, blurry, etc.) as well as having many, many errors in transposition (as a result of those working on the project not at all familiar with the french language, french names, etc.) making the research in a lot of cases almost impossible. I had to find another site that offered the same collection, and this one crystal clear. When I asked for a reimbursement or at least a reduction in the fees that I paid, I was told that although they apologized for the state of the records, they were not prepared to provide any reimbursement or reduction in the fees. This is a very large collection (for the French Canadian researcher) and, as in my case, was the main part of my research. I do not complain about the price paid for the subscription (although I do find them fairly high if you include US information), but I would expect to be treated fairly as a paying customer. Just my 2-cents worth! As an aside, I very much enjoy reading your blog site!! Make sure you provide feedback to Ancestry — they’re the only ones who can act on this sort of complaint! I ran into the same hysterical nonsense after putting a county GenWeb site on Rootsweb when I took over as coordinator. I was told that some people wouldn’t contribute material to the site because they believed Ancestry would somehow “steal” their information. Good grief. I really enjoy and appreciate your work. I’m writing a brief article on copyright for our local genealogy journal, and I’m including your website as one of the places to go for more information. As long as the info remains free to use even for non-Ancestry subscribers, it shouldn’t be a problem. Thanks, Cheryl.